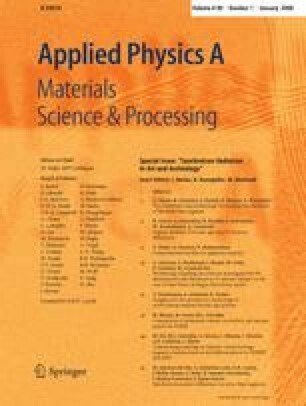 The ferroelectric and polarization fatigue characteristics of Pb1-xCax(Zr0.52Ti0.48)O3 (PCZT) thin films prepared using the sol–gel method were studied. The Ca-doping slightly suppresses the ferroelectricity of Pb(Zr0.52Ti0.48)O3 (PZT) because of the quantum paraelectric behavior of CaTiO3. Compared with PZT thin films, the PCZT (x=0.2) thin films show enhanced fatigue resistance at room temperature, further emphasized by the almost fatigue-free behavior at 100 K. The temperature-dependent dc-conductivity suggests a decrease of the oxygen vacancy density by almost 20 times and a slightly declined activation energy U for oxygen vacancies, upon increasing of the Ca-doping content from 0.0 to 0.2. It is argued that the improved fatigue endurance is ascribed to the decreasing density of oxygen vacancies due to the Ca-doping, although the lowered activation energy of oxygen vacancies is unfavorable.